Infrared thermographic studies find hot spots caused by defects in connections and components in electrical equipment. The early detection of this heat allows these problems to be corrected before a component fails possibly causing damage to it, creating safety hazards and productivity loss. Because increased heat is a sign of failure, infrared is the best–non-destructive–diagnostic tool available for finding hot connections in the early stages of degeneration. Most insurance companies recommend–or even require–electrical infrared thermographic studies, to find and prevent problems before they cause damage to your personnel, equipment and facility. 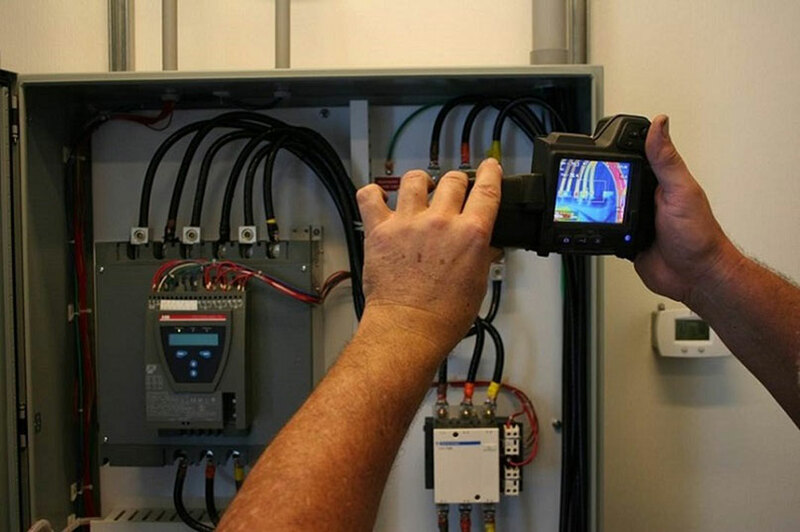 Our field service technicians perform infrared thermographic studies using Flir® infrared cameras specifically designed for building, mechanical and electrical applications. Is it Time for an Infrared Thermographic Study? Complete some electric motor preventive maintenance by scheduling an infrared thermographic study via our easy-to-complete Pump and Electric Motor Repair Form today.